KOSMOS produce turning parts, short and long turned parts from all machinable materials. Using our extensive state-of-the-art machinery our highly qualified staff produces punching and bending parts, automatic turning parts We produce high-precision turned parts from 2 mm to 50 mm diameter and length up to 400 mm in small lots for prototype development up to high volume batches for large scale production. Materials Free cutting steel, case hardened steel, structural steel and tempering steel, rust and acid resistant steel as well as extrusion metals such as brass, copper, aluminium be additionally offered: - Assembling of different components - Cleaning of surfaces and high-gloss polish - Heat treatment. we focus on Precision Quality, actively carry out ISO9001-2000 quality standard, and strengthen our management. Customer requirement is the first considerations of our service supporting. 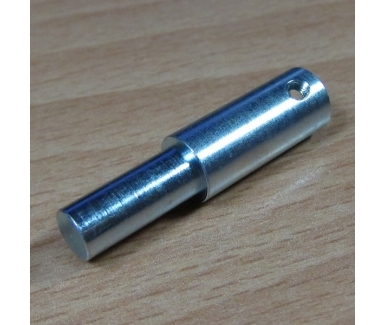 A proficient and trustworthy CNC turning parts manufacturer is what you are looking for and reliable.